Romanian MPs have voted with a large majority to impeach the country’s president, Traian Basescu. President Traian Basescu faced allegations of encroaching on the prime minister’s role and violating citizens’ rights. 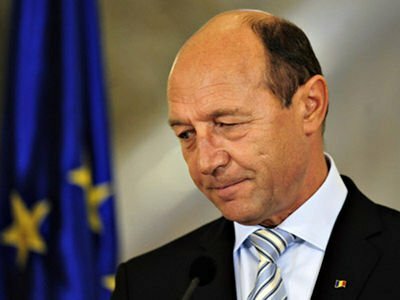 Traian Basescu has been suspended and a national poll on his impeachment will be organized most probably on July 29th. A total of 256 members of parliament of 432 voted in favour of the move against Traian Basescu, according to an official count. The impeachment will only take effect if approved in the referendum. The president is in conflict with Prime Minister Victor Ponta, who is the co-leader of the Social Liberal Union (USL), which has a majority in parliament. The European Commission voiced concern about the political turmoil on Friday. Romania joined the EU in 2007 but Brussels has demanded more reforms to stamp out official corruption. PM Victor Ponta, who came to power in May, says President Traian Basescu has too much influence over Romania’s Constitutional Court, which is due to consider new impeachment legislation. Yesterday, USL asked parliament to hold an extraordinary meeting to suspend Traian Basescu. Victor Ponta himself is currently under pressure to resign over allegations of plagiarism regarding a doctoral thesis he wrote. President Traian Basescu has accused him of trying to impeach him as a way of taking control of state institutions. The president has suffered a slump in his popularity since pushing through tough austerity measures demanded by international lenders in 2010. The political rivalry has stalled decision-making processes in Romania at a time when it is finalizing agreements on an IMF-backed aid package for its economy. The European Commission says it is “concerned about current developments in Romania, especially regarding actions that appear to reduce the effective powers of independent institutions like the Constitutional Court”.